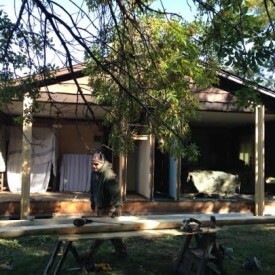 888-LOG-GUYS is not just a log home restoration company. We offer other services as well including log home repair, log home chinking and caulking, log home improvement, and log home maintenance. Our company has been is business for over 15 years. With our experience and professional work, we complete each project with customer satisfaction. Check out our testimonials to see for yourself! 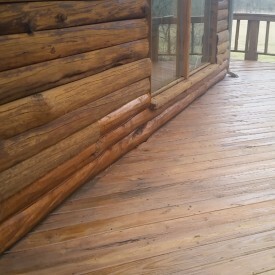 The 888-LOG-GUYS can rejuvenate your log home or log cabin, making it look and feel as good as new! Our log home restoration process keeps your logs healthy and stable. We use corn cob, glass, sand, or walnut blasting to strip away the old stain. Then, we sand it down and use a borate treatment to clean each log. We then apply an energy seal, chinking or caulking, to make sure nothing sneaks in between the logs. Finally, our crew apply the best stain to restore your home’s original beauty. Call us or request a quote from our website today! Are you concerned about the health of your log home? Have you noticed holes in your logs? Are your logs becoming soft? No matter your questions, call 888-LOG-GUYS for the answers! Our crew has repaired or replaced rotten logs and logs with insect infestation for over 15 years. We have the experience and knowledge to give you the best solution to your problem. Make 888-LOG-GUYS your log home repair company. It is a decision you will not regret! A quality energy seal is important for keeping your log home or log cabin a safe and secure place. Avoid air drafts, invading bugs, or water leaks by making sure your chinking or caulking is still in great condition. If you don’t have an energy seal, consider having 888-LOG-GUYS apply it on your log home to keep your home cozy and comfortable. Call our phone number or ask for an estimate from our website. We are currently serving the Pikeville Tennessee area and would love to help you! 888-LOG-GUYS does know log home restoration better than anyone! During certain times of the year, we can also finish that log home construction project you’ve been having your eye on. We can build log staircases, log railings, decks, and porches, just to name a few. Whatever it is that you would like added to your log home or log cabin, call us or contact us online for a free estimate! Let’s talk about what we can do for you! 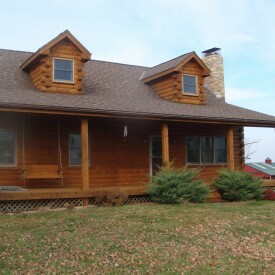 Once your log home is refinished, our company will take charge of the upkeep of your home in the Pikeville TN area. No need to think again about when you might need to clean and re-coat your log home. Let 888-LOG-GUYS take care of that for you! 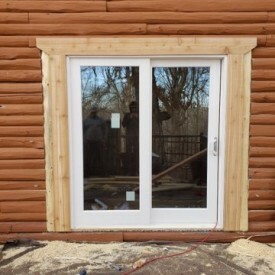 Even if you haven’t used our services before, call us for a free estimate, and one of our estimators will be able to let you know when your log home or log cabin will be due for its maintenance treatment.